Salud! Get ready to raise a glass: April 17, 2019 marks the eighth edition of Malbec World Day, a global celebration of Argentina’s flagship grape valued for its identity, resilience, expressivity and style. Under the theme “Elegance Doesn’t Need Perfection,” Wines of Argentina will celebrate the rise of modern Argentinian winemaking this year during consumer-tasting events in Chicago and New York and many more across the world. A wine chat will also be held on Twitter. 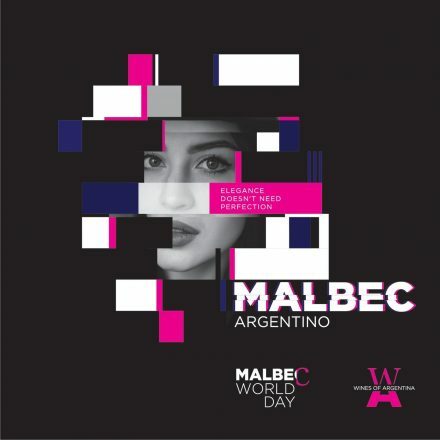 Created and launched in 2011, Malbec World Day is an initiative by Vino Argentino with support from the Argentine Ministry of Foreign Affairs, the Argentina Agency for Investment and International Trade, and the Argentina Wine Corporation (COVIAR). Last year’s edition saw more than 120 events in 100 cities across 60 countries, marking it as a global and historic promotional wine event. Supported by the Consulate General of Argentina in Chicago, Malbec World Day will take over Binny’s Beverage depot with a wine tasting of 30 Malbecs. Guests can expect tango dancers and food specialties such as an empanada truck, Malbec ice cream from Frio Gelateria and Lucila’s Alfajores.